Wenatchee, WA. Sunday – September 6, 2015 – As the wildfires in the region continue to run their course, the Red Cross is beginning to shift focus to that of recovery. When the Red Cross shifts from response phase to recovery phase, you may see less Red Cross vehicles and Red Cross volunteers in your area. That’s because they’re being moved to new areas of concentration which may include the clean up and storage phase. During the shift to recovery phase, Red Cross volunteers will be talking to area residents affected by the fires by opening client files. Those Client Casework volunteers will then have contact and a relationship with those residents, and will be available to them and offer them support and guidance as the residents begin to get back on their feet. Client Caseworkers are going into areas that the fire affected and looking for people whose homes were lost or damaged, and offering care and guidance. Client Casework will continue as we move through the coming weeks and months if necessary. When a disaster strikes, the Red Cross immediately begins to identify local community partners who will take over the long term recovery in the weeks and months following a disaster. Those local organizations take over supporting the community moving forward with Red Cross support in various ways. As time goes on, Red Cross shelters will close, and vehicles may be harder to spot, but Red Cross volunteers stay in the community and help people who need disaster recovery. During the recovery phase, the Red Cross really shifts from a lead role to that of supporting local organizations that would naturally support long term recovery in their communities. Is the Red Cross leaving? – No, the Red Cross doesn’t leave. 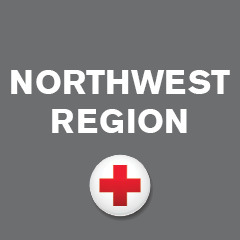 In fact, Red Cross volunteers are scattered throughout the Northwest Region to continue to respond to the disasters, usually home fires, which occur every day. But as the disaster response turns to disaster recovery, the Red Cross steps back and local organizations take the lead with Red Cross support. That support can come in a variety of ways – from people power, to money raised during the disaster to continue support. Red Cross works while the disaster is happening to identify those organizations who will take over the work once we move to another disaster so that the local community will support itself. What if the fires start to grow again? – The Northwest Region of the American Red Cross encompasses virtually the entire state of Washington and parts of Idaho. Within that region are hundreds of volunteers and assets like shelter supplies, vehicles and feeding options that can mobilize if the situation begins to shift or change. Our large capacity allows us to move swiftly if Red Cross operations need to ramp up again in any given area. And the Red Cross volunteers in communities across Washington and Idaho allow us to monitor and respond when needed. That network also supports the disasters that occur every day in our communities, like home fires. If you’d like to donate to the American Red Cross, please go to and share this link. Make a 72 hour kit. Stay Informed about wildfire conditions and evacuation notices. The Red Cross mobile app, Emergency, offers important information that will help before, during and after a disaster. Download the app at www.redcross.org/mobileapps or from your preferred app provider. For more preparedness information go to www.redcross.org/prepare. Why did you leave Republic?? Rumors are tearing everyone up by stating The Red Cross stole from Ferry County Residents. Better post something quick. Hello fellow busy worker bees!! My name is Maria and I live in Everett, Wa. My family and I travel to the East side of the mountain’s frequently and have family in Twisp. We love it over there and are extremely sympathetic to all of those who have been affected by the wildfires. My father in law Bill Bailey , is fighting the North Star fire so I know first hand how hard emotionally, physically and mentally it’s been for everyone involved in this devastation… It would bring me such gratitude to help with fundraising efforts to help bring some simple comforts to everyone I can in need, including the firefighters and also the volunteers. I know it’s going to be a long road a head in the coming month’s to recover from of all of this and feel so compelled to do whatever I can to help. I have been searching for things needed to bring comforts and food but can’t seem to find a list. I have an idea of what’s needed from last year’s Carlton complex but any information including a detailed list, would be fantastic!! I know you all are very busy with Priorities and it might take some time to respond to my inquiry. Please take the time to rest when you can and respond when it works best for you. I look forward to hearing from you and assisting with what ever I can!! Thank you for your wonderful words and gesture of support. We know that the hearts of everyone in Washington goes out to those affected. The Red Cross is responding with hundreds of volunteers putting long hours. The bottom line is that there are resources available for immediate needs but, as you say, we need to think of the road ahead. 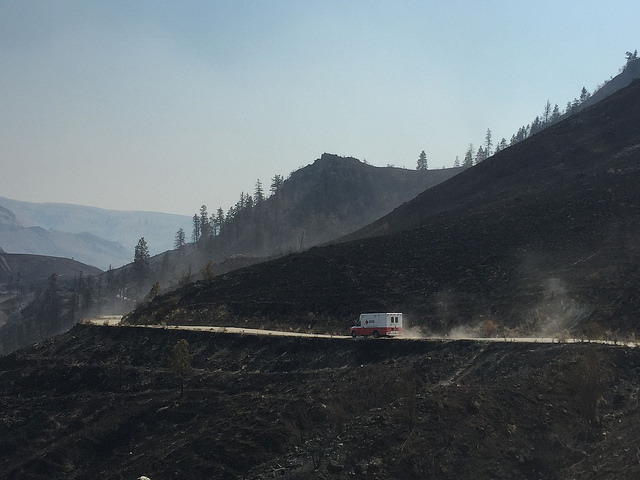 The Red Cross has been working with one organization you might consider, the Okanogon County Community Action Committee. Their website is occac.com. They may be able to point you in the right direction. While immediate needs are being met there appears to be a need for things like fuel credit cards or cash cards. Red Cross doesn’t facilitate that but I think the OCCAC can work that. Thanks again for reaching out and stay tuned for any changes.